Alethia Russell is from Gadsden, Alabama. She graduated from Auburn University in 2015 with a degree in journalism. 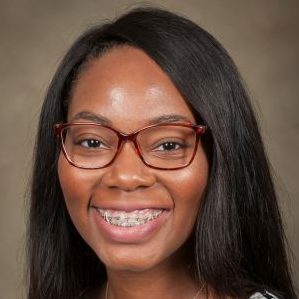 She works as the assistant recruitment coordinator for the Honors College, where she is responsible for assisting with recruitment efforts and event planning for the Honors College. Her favorite part of this position is being a resource to students looking to transition into undergraduate studies and helping them find their home in the Honors College. She is currently pursuing her Master’s in Higher Education Administration at the University.